They are present in the Collection 2016 and inspired by our upholstery tradition: the armchairs Vanessa and Emilia Capitonné provide a new modern look for your living room with unique and original solutions. 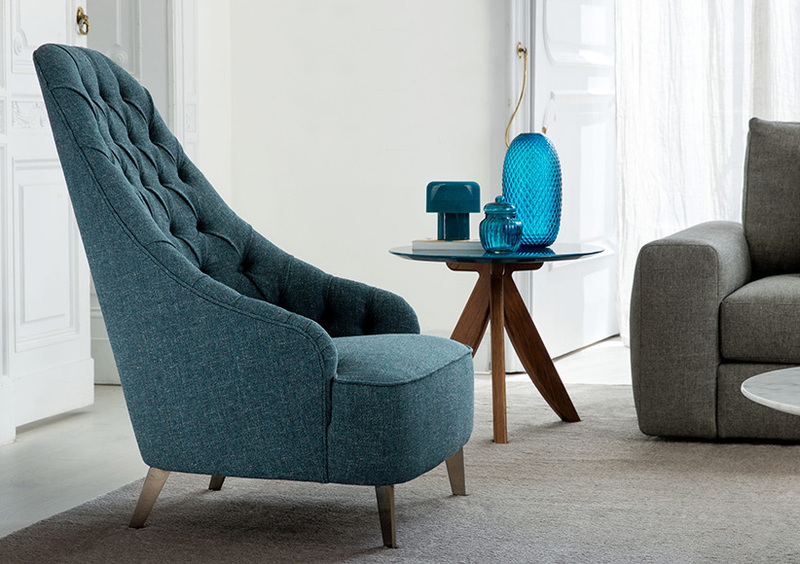 The armchair Vanessa with backrest with Capitonné finishing has a modern design with soft and comfortable sizes. The Capitonné finishing on the backrest offers a comfortable support to your shoulders and is perfect either with fabric or leather cover. The padding is made of soft polyurethane foam. 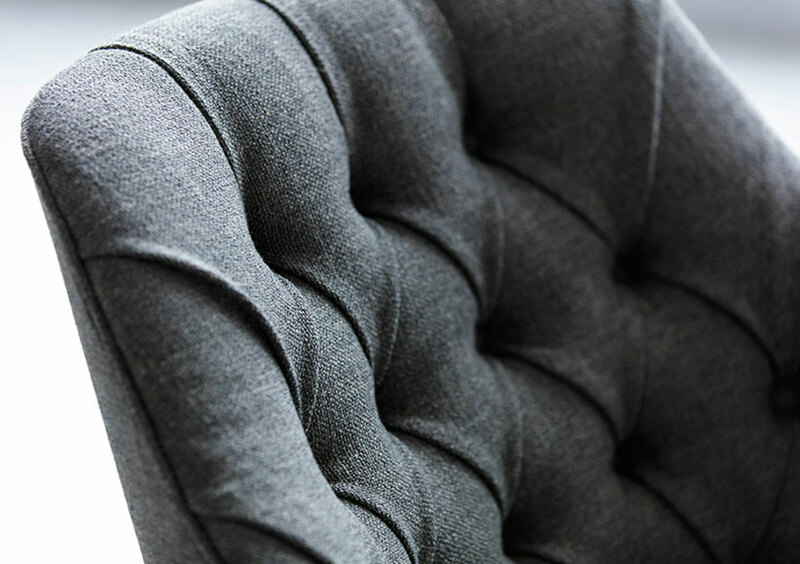 The Capitonné finishing is totally handmade by our BertO upholstery artisans who are able to produce this armchair custom made up to the centimeter. A new modern look even for our armchair Emilia Capitonné: thanks to our experience, tradition and design this elegant armchair can satisfy even the most demanding requests. As per our armchair Vanessa, even our armchair Emilia presents a Capitonné finishing on the backrest. The polished chromed steel feet are custom made available or they can be replaced by a chromed steel swiveling base. We suggest two different covers for the armchairs Emilia and Vanessa Capitonné: a fabric cover (cotton, linen and denim) or a leather cover (in the versions with protected grain leather or Nabuk leather with vintage effect for the armchairs special edition #BertoLive). You can find our Vanessa and Emilia capitonné armchairs in our showrooms in Meda, Rome and even online.